In January, the U.S. Department of Health and Human Services (HHS) announced updates to the Health Insurance Portability and Accountability Act (HIPAA) Privacy and Security rules. These new rules will took effect on March 26 and business associates have until September 23, 2013, to reach compliance. Under HIPAA, a business associate is defined as a person or entity that performs certain functions or activities that involve the use or disclosure of electronic protected health information (ePHI) on behalf of, or provides services to, a covered entity. So what exactly do these new rules mean for our partners and clients? First, it is important to note that the new rules are really just formalizing and strengthening many of the changes that were announced in the 2009 Health Information Technology for Economic and Clinical Health Act (HITECH Act), which clearly defines when HHS needs to be notified of a breach, as well as increases the penalties applied around non-compliance. Also, the biggest change that should be noted is that the regulations between business associates and subcontractors (for example a health information organization and its cloud service provider), are now assumed to be held to a business associate agreement (BAA). In the past, subcontractors could choose to opt out of signing any agreement, which essentially limited liability should HHS come knocking. Under new regulations, it is clear that any healthcare provider that comes in contact with actual ePHI must sign a formal business associate agreement, making each and every subcontractor liable during a breach. Stated differently, this means that anyone who deals with ePHI should carefully read the new rules and understand how they will be directly liable for compliance. 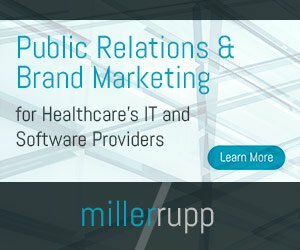 We will start to see a shake out in the business associate companies – healthcare facilities should closely examine whether a business associate agreement is signed just to win business, or is signed by a company that actually will be accountable for HIPAA requirements and take them seriously throughout the course of the relationship. It is also important to note that under the new regulations, it is crystal clear that business associates are directly liable for compliance and can be fined, along with the actual health care provider as a covered entity. 1. Not knowing that they need to be compliant. Many people do not realize that shredding companies and office cleaning crews that may see patient data without realizing it are now liable. Anyone that has access to ePHI, regardless of their position and how far removed they are from the covered entity, is in full scope now. 2. Lack of solid inventory of where data lives. Data is constantly being transmitted back and forth via applications, web servers and file servers. However, many organizations lack a comprehensive inventory of where all of this data lives. This makes it difficult to accurately assess the risk of data storage. Participants must be able to control physical access to patient information and proactively protect against inappropriate access to the data at every exchange point. This is impossible to achieve without a solid inventory. 3. Risk analysis and data classification. Under HIPAA, there is a clear requirement that companies need to complete a thorough risk assessment of the storage, processing and transition of ePHI data. This risk to data needs to be clearly defined and any controls that are in place need to be outlined. 4. Controlling the flow of ePHI data via mobile devices. While there is not a requirement within HIPAA that addresses mobile devices, iPads, iPhones, and Androids frequently hold ePHI data. Organizations need to implement corporate BYOD policies and have controls in place including passwords and remote capabilities to protect this data. 5. Encryption. There seems to be a lot of confusion around encryption as many people translate this addressable specification as being optional. Some organizations see “encryption” and after evaluating what it entails, decide that it costs too much money or translates as optional. If there is a security breach, HHS officials will first ask if the data was encrypted. If the answer is no, the investigation can easily lead to fines, penalties and negative publicity. We recommend that our partners and clients conduct a thorough risk assessment to document all controls that are in place surrounding data that may be at risk. This documentation serves as a road map for developing action items based on priority or level of risk. When a breach occurs, organizations need to demonstrate their due diligence to show that all risks were acknowledged. We cannot stress enough how thorough this documentation should be. We have seen documentation ranging from 20 to 100+ pages; anything less than that will be insufficient. We continue to see these issues every day. The bottom line is that organizations should thoroughly read through the new rules and engage with third-party vendors to make sure that they are covered and can avoid paying penalties. Those interested in exploring a third-party solution should ensure that their prospective vendor provides a suite of proven network security and compliance technologies, compliance data center policies and procedures, and round-the-clock analyst coverage to monitor and manage networks. James D. Brown is responsible for overall product and services strategies, and architecture and implementation of StillSecure’s product suite. James has tremendous experience in both public and private cloud security and helped create the industry’s first comprehensive Cloud Security Services Platform that supports physical, virtual and multi-tenant environments. Brown has more than 20 years of experience in the network security, IT, telecommunications, and human resources industries. Andrew Hicks, director, healthcare practice lead, Coalfire, has over 10 years of experience in IT governance including responsibilities specific to the IT security, risk management, audit, business continuity, disaster recovery and regulatory compliance spaces. His experience and understanding of business processes and technology has allowed him to excel in the areas of policy development, internal control design and testing, project management, system development reviews, and risk mitigation.